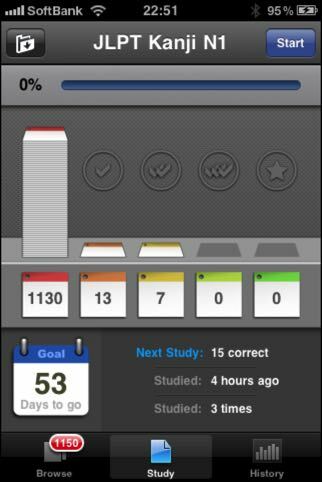 Something that helped me learn Kanji was having a set amount of study each day. v1.4 of Kanji Pro will have this very feature (screenshot below). To set, you simply enter a date when you’d like to complete a file (for example, an exam date) and it will work out the rest for you. Interruptions, lazy “not in the mood” days and “high-caffeine-can’t-stop-learning-kanji” days automatically adjust your progress.